Here are the best places to find replacement batteries for your pet containment system, plus time- and money-saving tips for replacing the batteries yourself. If you need to keep your dog on your property but are unable to put up a fence from some reason or another try an invisible dog fence. When considering an invisible dog fence weigh all of the pros and cons before diving in and putting one in. PetSafe products are but one small portion of a large family of pet containment products made by the Radio Systems Corporation. Other brand names that fall under the same company are: Guardian, Innotek, SportDog, StayWell, and Invisible Fence. While invisible fences solve many problems for dog owners, there is a question as to whether or not electric fences are right for dogs. 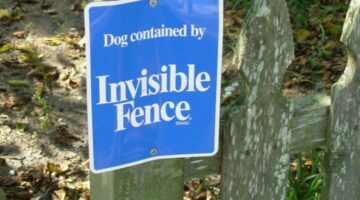 Before you buy an invisible dog fence, consider these downsides to invisible fences. We are considering installing an invisible fence at our new home, so I’ve been researching the many options when it comes to hidden fences. Here are some things I’ve learned about invisible fences, in general.